AS VEGAS — Automotive employers require local support to flourish, as supplier Robert Bosch has in South Carolina for several decades. Bosch’s growing manufacturing operations require a steady flow of engineers coming in as well as partnerships with universities to keep up with changing technology and management practices. Mike Mansuetti went to work for Bosch’s fuel injector plant in Charleston, S.C., in 1988 as a recent mechanical engineering graduate from Clemson University. The supplier and the South Carolina university now work together on several levels. 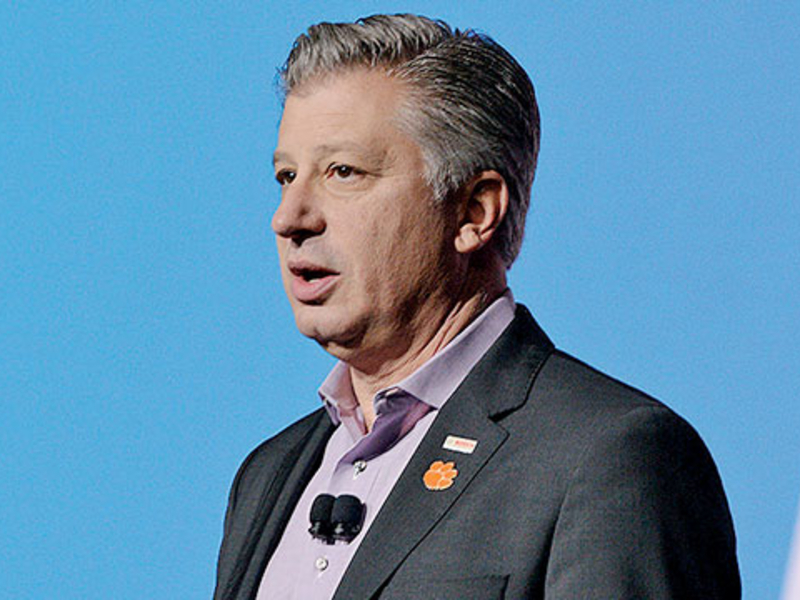 Mansuetti, 54, has been Bosch’s president for North American operations since 2012. He spoke with News Editor Lindsay Chappell during CES here last month about the company’s demand for more engineers, its close relations with Clemson and its ongoing investment in South Carolina. Q: How many engineers does Bosch need to hire in North America? A: We are hiring 25,000 globally, and many of the openings are in North America. We need people for our AI team, in software engineering and in electrical. The openings are in our plants, at our research and our tech centers. And the activity in our autonomous driving is increasing.Is this simply a constant need for a company as large as Bosch or a reflection of the new technologies you’re moving into? The numbers are increasing, and also the skill sets in computer science is much greater than a few years ago. We’re focused on areas like AI and deep learning. And these are people who are not just computer programmers, but people who understand AI. We have apprenticeship programs in place. We’ve had them forever in the plants to recruit in the classic electromechanical engineering areas. But now, we’re expanding the programs to include software, programming and coding, not to just build our new work force but to also retrain our existing work force. You have a Clemson University pin on your lapel. You’re wearing a Clemson orange shirt, as well as a Shinola wristwatch in Clemson orange. What does Bosch get out of Clemson University? We have a deep history with Clemson since they’re right there next to us in South Carolina. We get a tremendous number of co-op people from Clemson. Clemson is very good in the classic mechanical, electrical, industrial, manufacturing engineering areas. The business school is growing. Computer science is growing leaps and bounds there. We do several research projects with them through their International Center for Automotive Research. We did a big powertrain project with them around oxygen centers at our Anderson plant. We also have a partnership with the University of South Carolina on the business school side. Bosch has a few deep relationships with universities. Carnegie Mellon is one. Stanford is another. Did Bosch reach out to Clemson for academic support, or did the university come looking to its large technology neighbor? We’ve been in South Carolina a long time, and in our early days there, it was more a case of the company approaching the local academic institutions about what we needed. We now have 4,400 people in South Carolina in manufacturing, in Anderson and Charleston. It’s the largest cluster of people we have in the United States. With Clemson, our engagement has grown in recent years, and that’s a reflection of the individuals at the university. The new dean of engineering, Anand Gramopadhye, is very interested in listening to industry about what it needs. He created an industrial advisory board to listen to business, and I sit on that board. South Carolina sees Clemson as a major economic development tool to help companies succeed in the state. To what degree is Bosch continuing to invest in the area? Over the past couple of years, we’ve invested $ 450 million in our South Carolina plants to prepare for new products. With the recent dissolution of a partnership [with Denso] we had there, AFCO, we purchased the property it occupies, and we’ll use that now for electronics expansion. Apple iPhone 8 to come in four colors including a reflective mirrored surface?